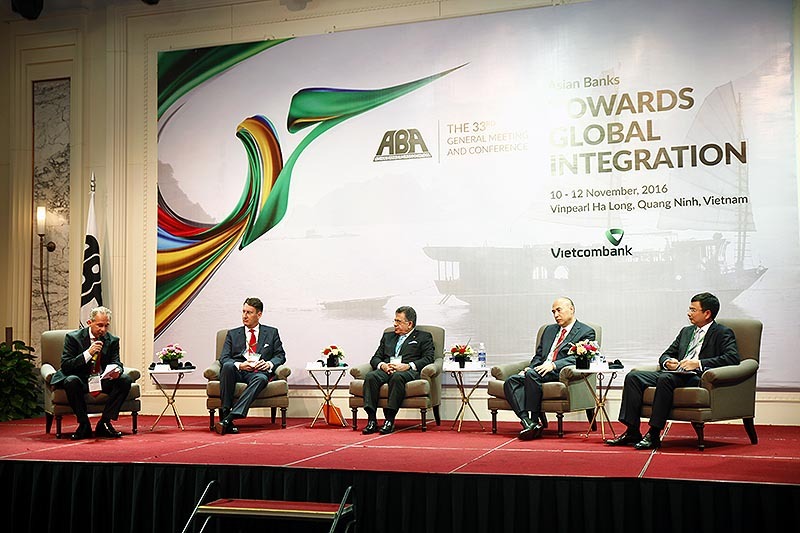 "Asian Banks: Towards Global Integration"
Over 200 bankers from Asia-Pacific, the Middle East and other regions – composed mainly of members of the Asian Bankers Association (ABA) led by ABA Chairman Daniel Wu, President and CEO of the CTBC Financial Holding Co. from Taiwan – gathered in Ha Long Bay, Vietnam on November 10-11, 2016 for the 33rd ABA General Meeting and Conference. 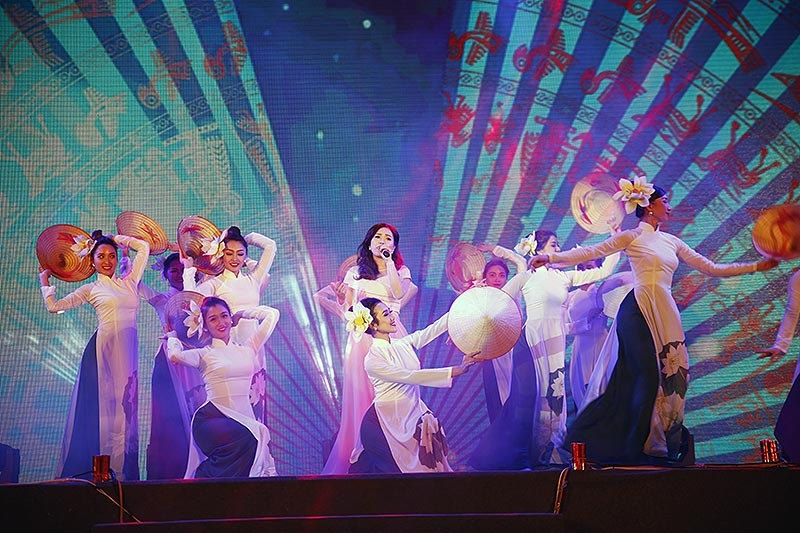 Hosted and organized by Bank for Foreign Trade of Vietnam (Vietcombank) under the leadership of its Chairman Mr. Nghiem Xuan Thanh, the Ha Long Bay gathering was held at VinPearl Resort in Ha Long Bay. 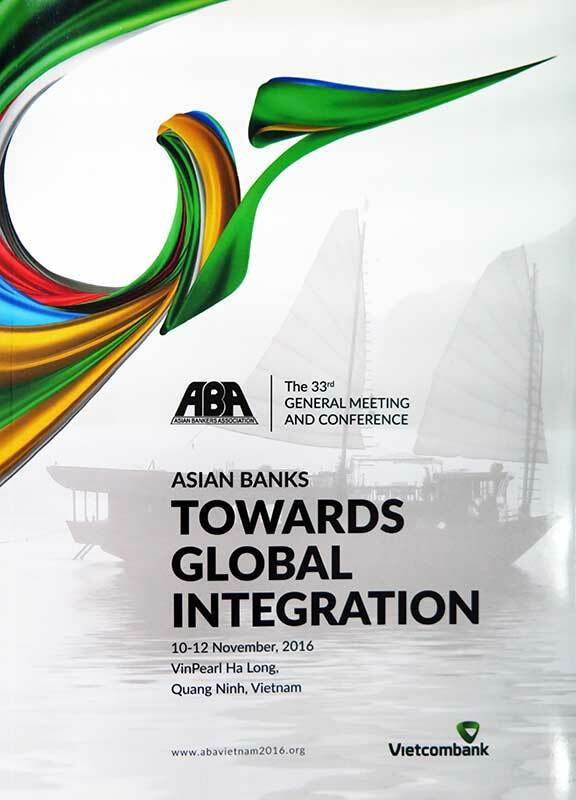 This year’s Conference carried the theme “Asian Banks: Towards Global Integration”. 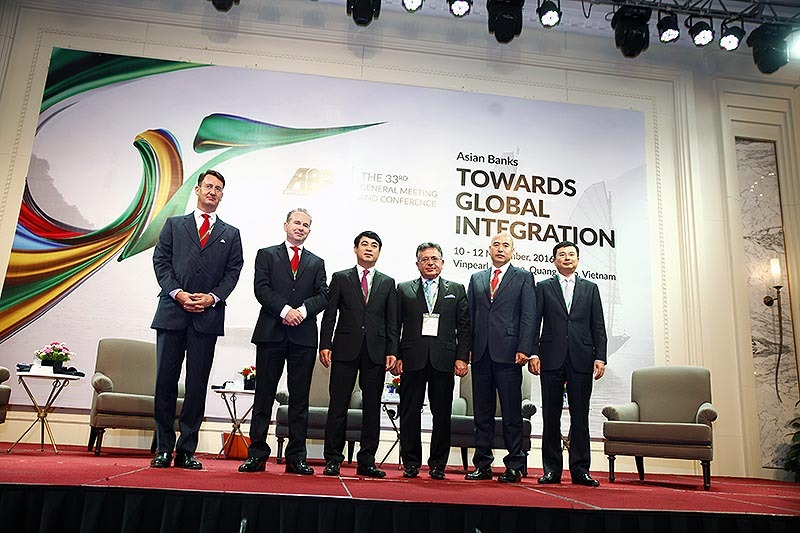 Invited speakers from the banking and financial industry, regulatory agencies, and the academe, examined issues that revolve around Asia’s growing influence in and integration with the global economy and its implications for Asian banks. 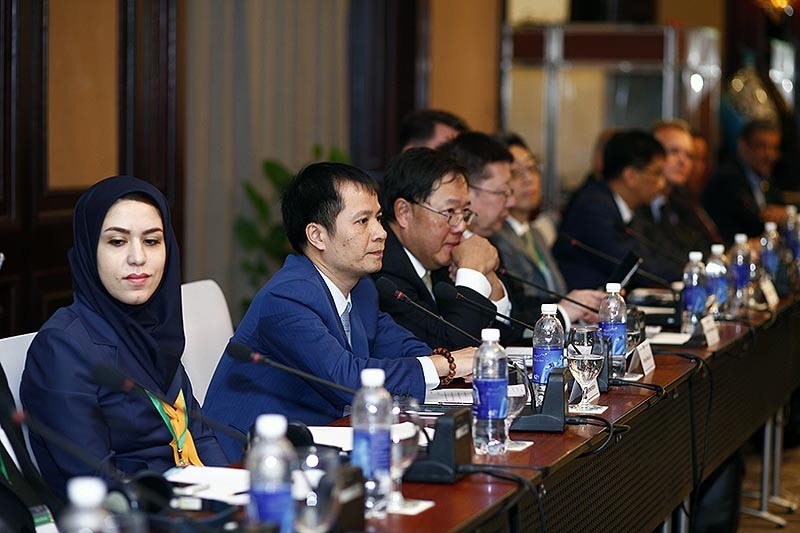 Invited as Special Guest of Honor was E. Nguyen Duc Lung, Chairman of the Peoples’ Committee of Quang Ninh Province, Socialist Republic of Vietnam. 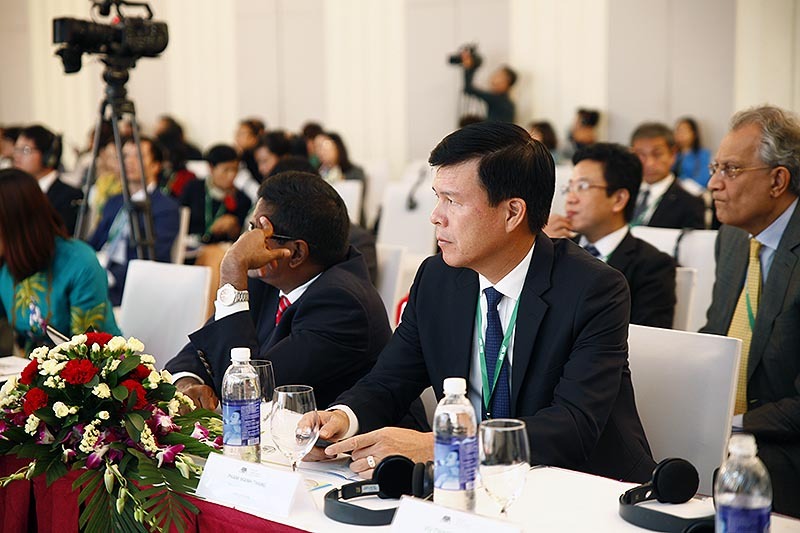 The Keynote Speech was delivered by E. Le Minh Hung, Governor of the State Bank of Vietnam, the country’s central bank. 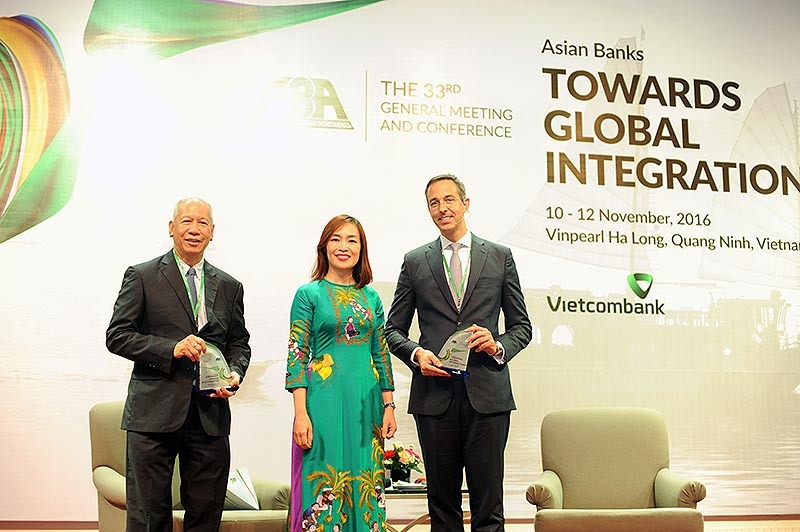 In his keynote speech, H. E. Le Minh Hung, Governor of the State Bank of Vietnam, the country’s central bank, said that although there are a lot of challenges and difficulties ahead, especially when unexpected fluctuations are seen in both regional and global economy, it is believed that with the cooperation and initiative of its members, ABA continues to be a significant factor in the growth and prosperity of Asia. 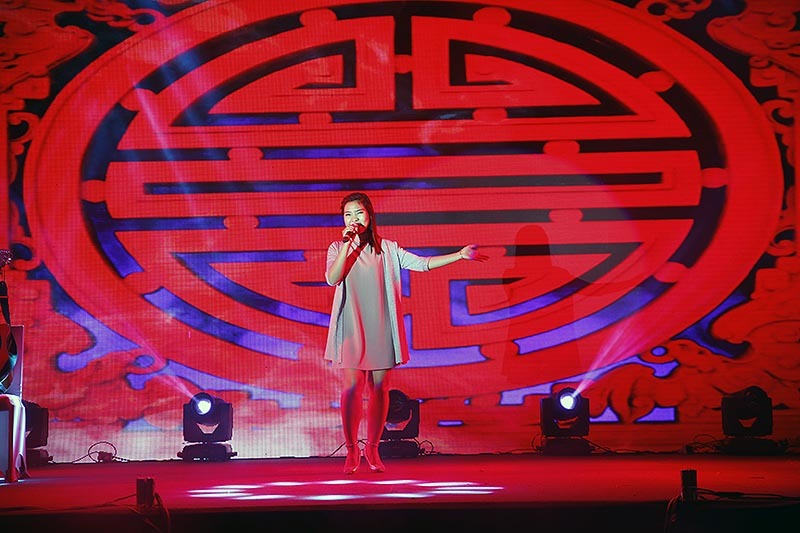 In regard to Vietnam, the banking sector is committed to continuous improvements in customer service, advanced technology applications and so on, to develop its operation, financial and managerial competencies to be able to adapt and create values to contribute to Asia’s prosperity. 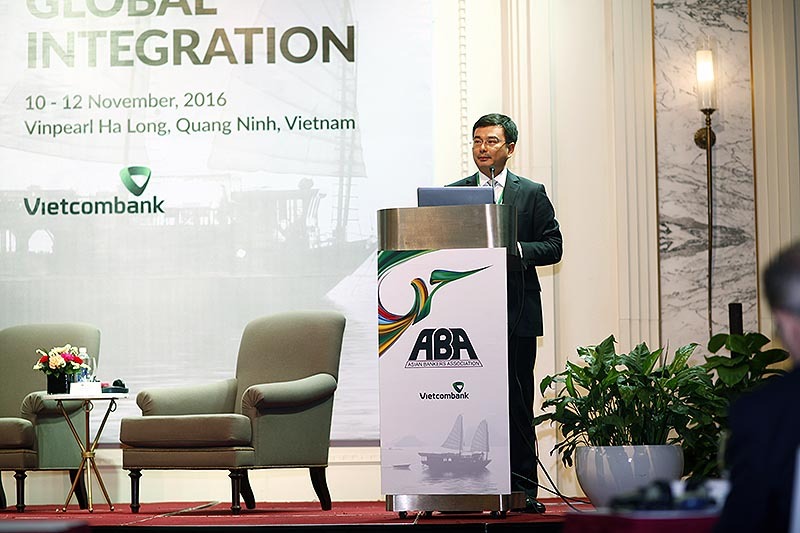 Vietcombank Chairman and ABA Vice Chairman, Mr. Nghiem Xuan Thanh in his Welcome Remarks pointed out that it was the second time ABA held its annual Conference in Vietnam and the second time for Vietcombank to be the host organization of this important international and meaningful event. He noted that economies across the globe have been connected and have big impact on each other in many aspects, which offers a lot of opportunities as well as challenges at the same time to banks in Asia, one of the economic regions with the fastest growth rate in the world recently. 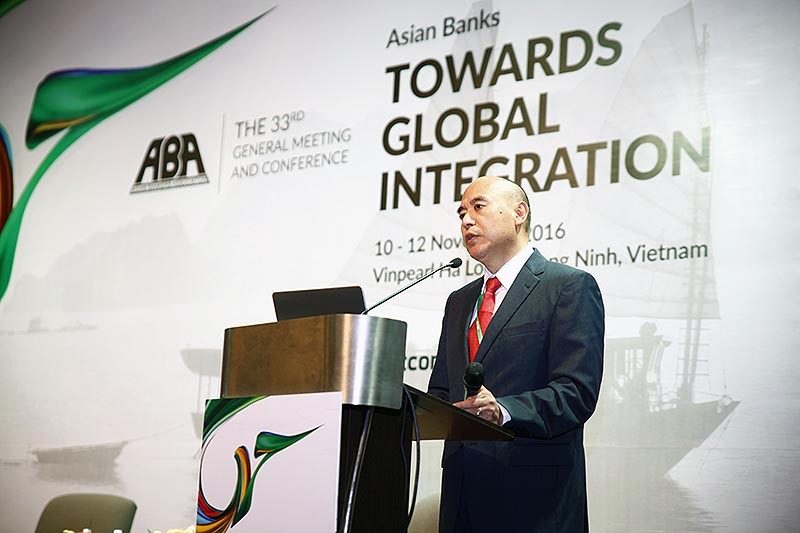 He said that ABA members therefore chose “Asian Banks: Towards Global Integration” as the Conference theme this year to provide participants with information on the trends, outlook, opportunities, challenges as well as practical recommendation for all the banks in the region to prepare for this orientation. 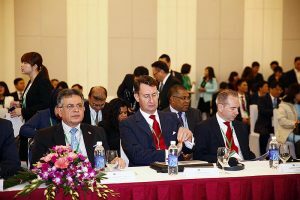 Moreover, he stated that all the plenary sessions have provided useful and most updated information in the banking industry both inside and outside Asia boundaries including factors shaping the global economy in the future, impacts from changes in the regulatory environment, transformational change in digital banking and growth drivers for global financial integration. 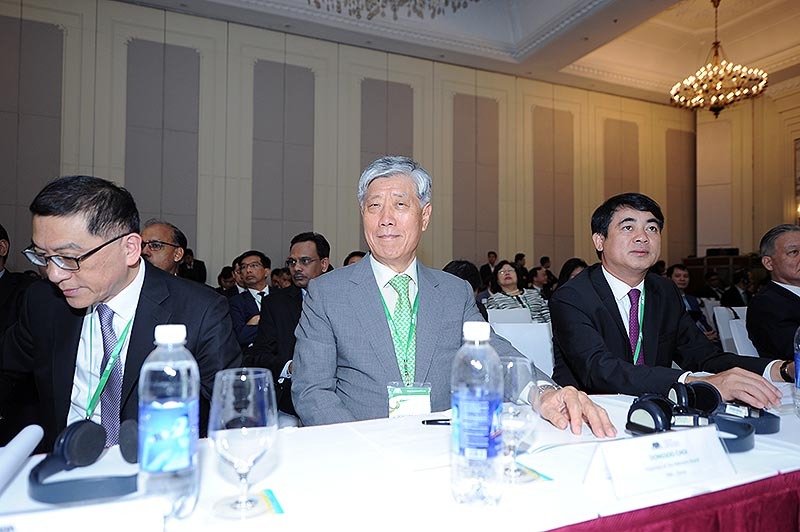 ABA Chairman Mr. Daniel Wu in his Opening Statement said that Asia’s economies have boomed in recent decades. The region today accounts for about 40% of the world’s GDP, up from 25% in 1990, and contributes about two-third’s of global economic growth, he noted, adding that Asia is expected to continue to grow at an average annual rate of 5%, leading global economic expansion. 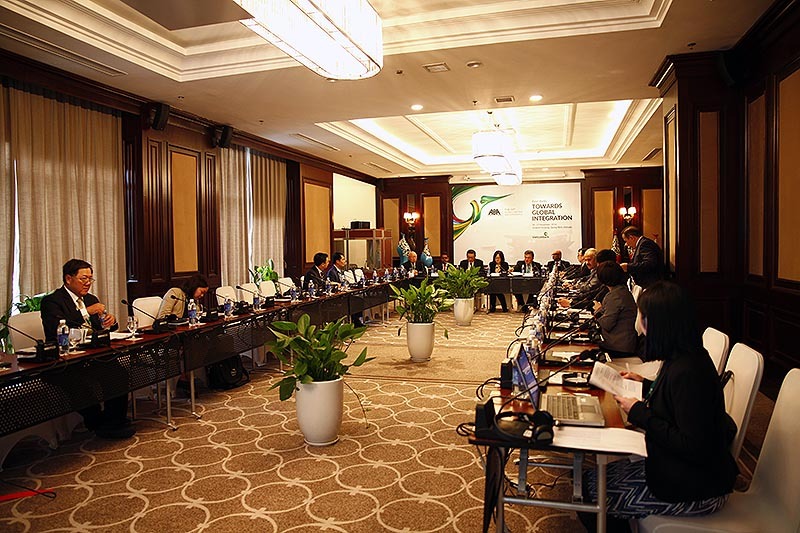 The rapid economic growth in the Asia-Pacific region in the past decades has led to increased openness and greater integration of the region into the global economy, and elevating the region into a central position in global economic and financial affairs. 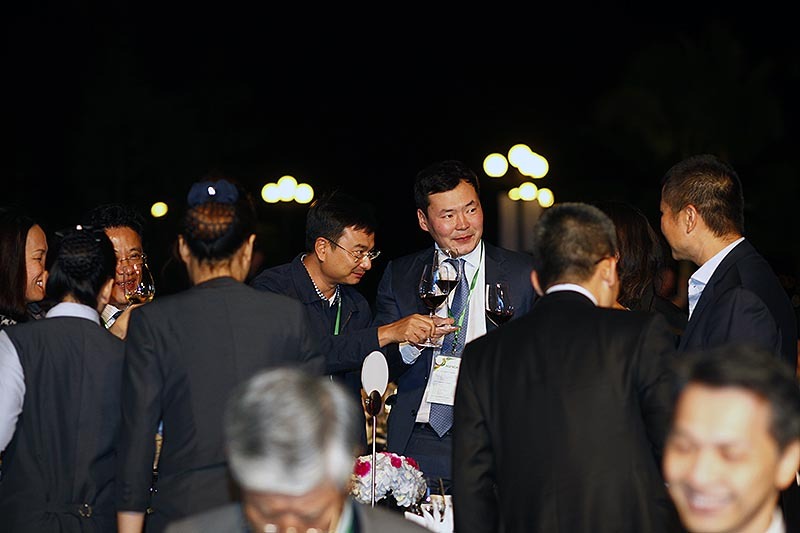 As regards Vietnam, Chairman Wu cited the country as an economic development success story, noting that the political and economic reforms launched in 1986 have transformed the country into lower middle income status within a quarter of century. 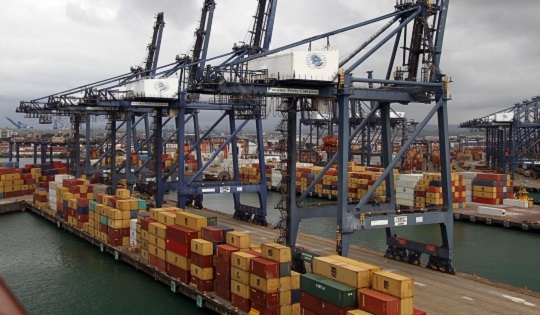 Moreover, Vietnam has boosted its international economic integration, as it enters into more free trade agreements with other countries. 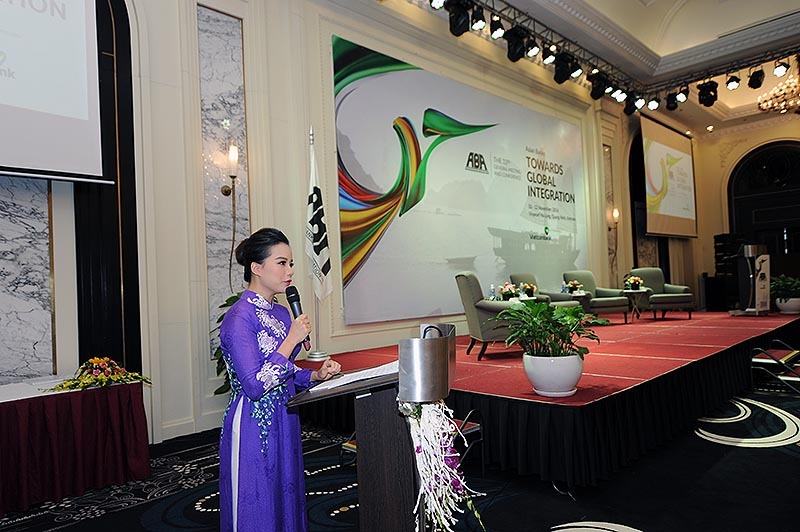 He expressed confidence that holding this year’s ABA annual gathering in Vietnam will increase the knowledge of ABA members about the country and help them identify business opportunities it offers. 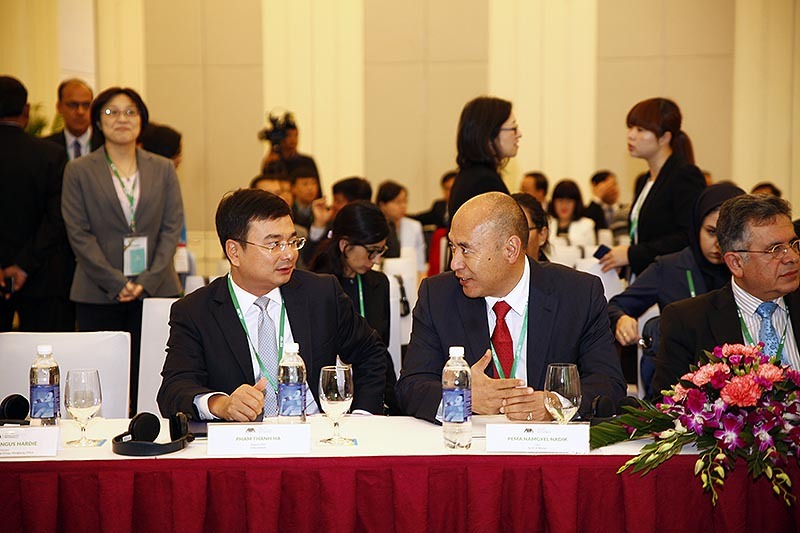 Plenary Session Two addressed the issue “Coping with Changing Regulatory Environment”. Speakers shared their views on where banks are in terms of preparation for new regulations and how the key regulatory measures are impacting banks and forcing the industry to undertake a significant reshaping of business models. 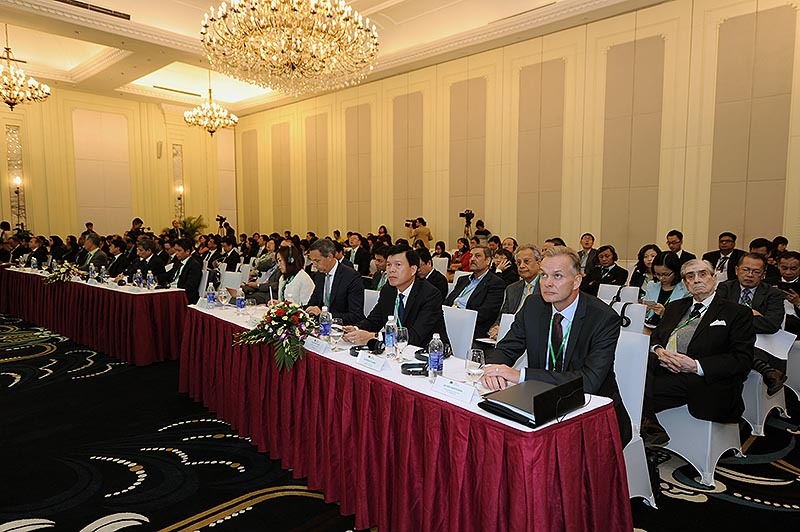 The line-up of eminent speakers included Mr. Andrew Hardie, Principal, The Boston Consulting Group, Hong Kong Office; Mr. Wolfram Hedrich, Partner in the Asia Pacific Finance and Risk, Practice Oliver Wyman Financial Services; and Ms. Shih-Jen Hu, Head of Institutional Credit Risk Measurement Department, CTBC Bank. 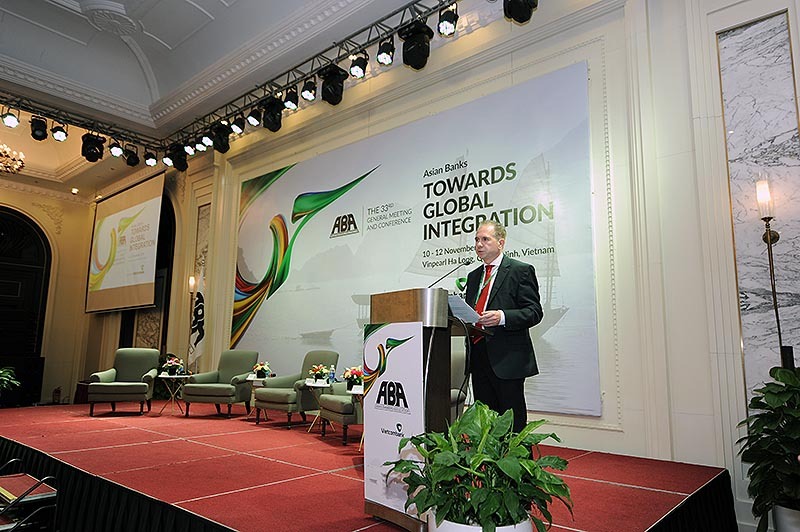 Mr. Oliver Hoffmann, Managing Director & Head of Asia, Erste Group Bank AG served session chairman/moderator. Plenary Session Three covered the topic “Digital Banking: Achieving Transformational Change”. It featured speakers who shared their ideas on how to capture the opportunities provided by digitalization through the right investment, careful planning and coordinated decision making spanning the whole bank; how to address the multiple strategic challenges posed by digital advances; and how institutions can position themselves to compete effectively and capture an emerging, long-term growth trajectory. 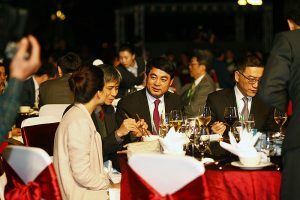 The speaker line-up included Mr. Ralf Matthaes, Founder and Managing Director, Infocus Mekong Research; Mr. Michael Araneta, Associate Vice President, IDC Financial Insights and Country Manager for IDC Thailand; and Mr. Lee Volante, Head of Strategic Engagement Asia Pacific, Temenos. Chairing the session was Mr. Dilshan Rodrigo, Chief Operating Officer, Hatton National Bank from Sri Lanka. 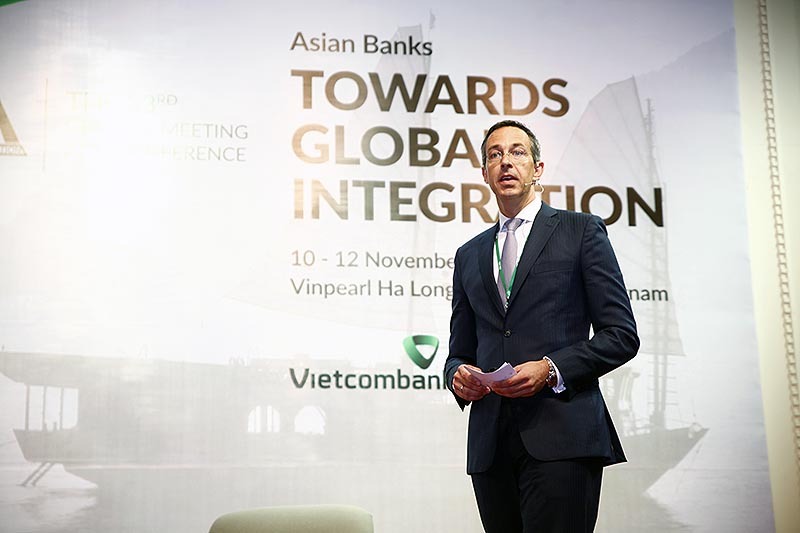 Host Bank session – Organized by the host organization Vietcombank, this session featured Mr. Bernhard Kotanko, Managing Partner, Asia Pacific Region at Oliver Wyman as speaker, who addressed such issues as: why parts of European banking are becoming dinosaurs, losing their anchor and engine role; How Asian banks serve as anchors for societies and economies; what engines shall propel Asian banks into the future; what can events such as the ABA Conference do in providing fuel to all these engines? Chairing the session was Atty. Reynaldo Maclang, President of Philippine National Bank. 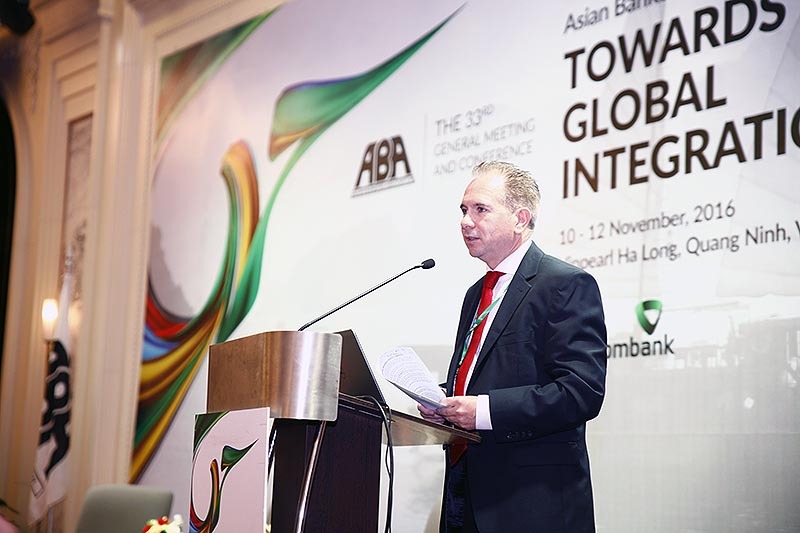 “Discover ABA” session – This special session featured country presentations by selected ABA member banks on the economic conditions and current developments and growth prospects in the banking and financial markets of their respective countries. The country presenters included Mr. Thomas Debelic, Director and Chief Representative for Vietnam, Laos and Cambodia at Commerzbank; Dr. Mostafa Beheshti Rouy, Executive Board Member, International Affairs, Bank Pasargad; Mr. Pema Nadik, Chief Executive Officer, Bank of Bhutan; and Mr. Pham Thanh Ha, Deputy CEO at Vietcombank. 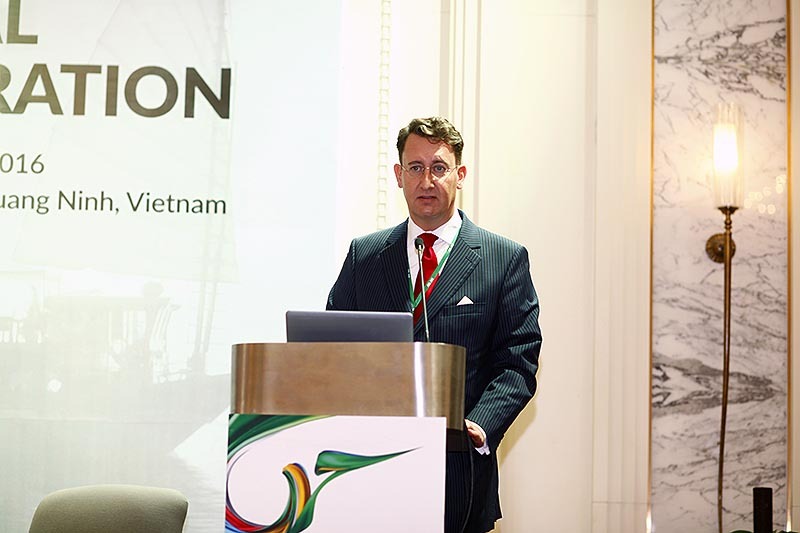 The session chairman was Mr. Andrew Healy, Managing Director & CEO, Bank of Maldives . 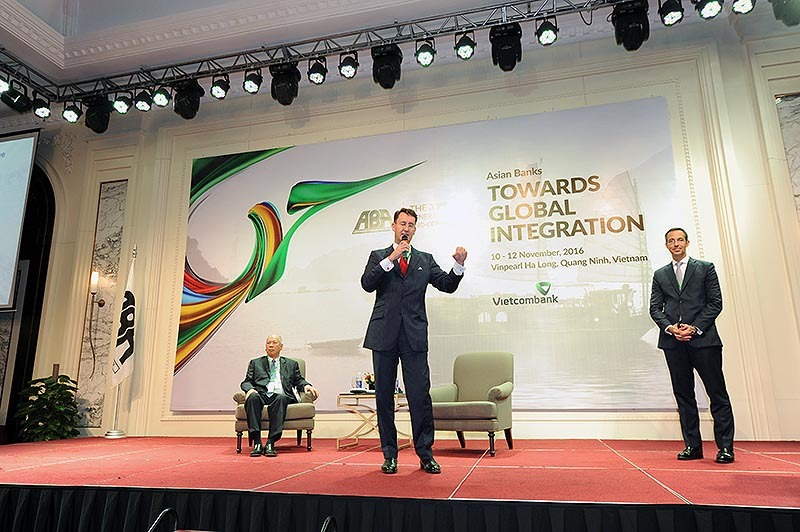 In the spirit of friendly competition, the delegates were requested to vote for the Best Country Presentation, which was subsequently won by Commerzbank. 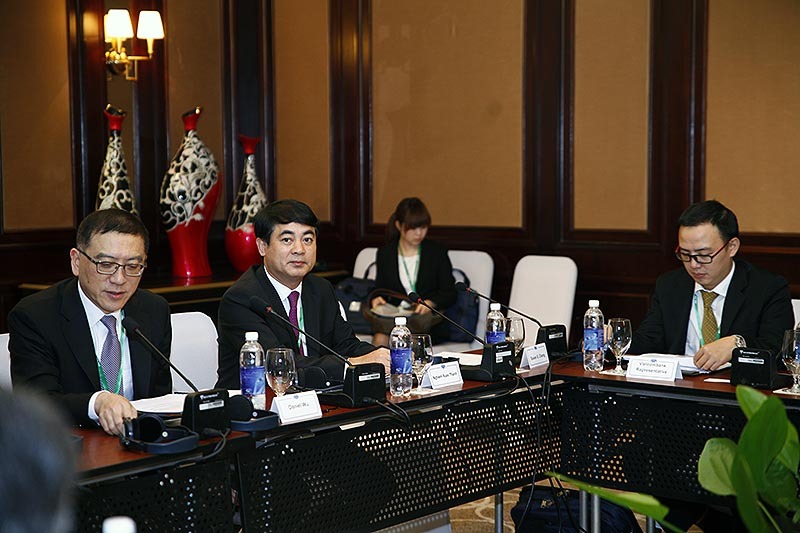 The newly elected Board re-elected Mr. Daniel Wu, President and CEO of CTBC Financial Holding Co as Chairman for 2017-2018, making him the first Chairman to be elected for a second term. Dr. Aliasghar Safari, CEO of EN Bank was named Vice Chairman. The ABA adopted its 2017-2018 Work Program outlining activities over the next two years in the area of policy advocacy, information exchange, training and professional development, strengthening relationship with other regional and international organizations, and membership expansion. The ABA also admitted Ayandeh Bank from Iran as its newest regular member. Reviewed the activities undertaken to date on the promotion of the ABA Informal Workout Guidelines and the Model Agreement for Company Restructuring that were jointly developed by the ABA and the Asian Development Bank (ADB) and subsequently approved by the ABA Board in 2005. Considered a paper proposing cooperation among member banks in undertaking business process re-engineering initiatives aimed at achieving transformational change in their respective organizations. Exchanged views on possible issues for future policy advocacy work of ABA. 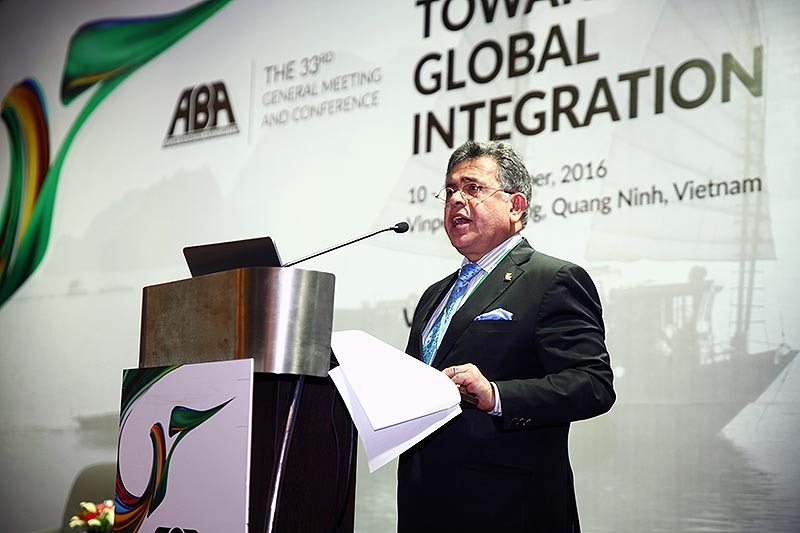 The ABA agreed to hold its 34th ABA General Meeting and Conference in Mumbai, India with the State Bank of India as host organization. A meeting of the ABA Planning Committee will be held in early 2017 in Mumbai to discuss the exact date and venue as well as other preparations for the Conference.